Thomas Warren Bennett was born in Union County, Indiana, where his father was a farmer. In 1850 he left to attend Indiana Asbury University (now DePauw University) where he received his law degree in 1855. He returned to Liberty and practiced law until the beginning of the Civil War. At the first call for troops, he raised a company of volunteers and was commissioned a captain in what became the 15th Regiment of Indiana Volunteers. In October 1862 Governor Morton appointed him Colonel of the 69th Regiment, and with this unit he participated in the battles leading to the fall of Vicksburg in July 1863. Promoted to Brigadier General soon after, he led his brigade in the Red River Campaign. In September 1864 the War Department detailed him to serve on the military tribunal which tried a group of conspirators, known as the "Sons of Liberty." These sympathizers of the South had plotted to murder Governor Morton and force Indiana to seceed. 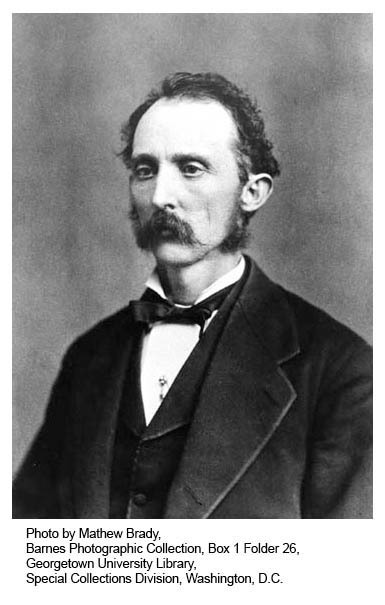 In October 1864 he was elected state senator representing Fayette and Union Counties. In 1868, he moved to Richmond and was elected mayor the following year. He had served for two years in Richmond before President Grant appointed him Territorial Governor of Idaho. He was governor until 1875 when he was elected to Congress, in which he served one year. In 1876 he returned to Richmond and resumed his law practice. He served as mayor again from 1877-1883 and 1885-1887. He was responsible for renaming the city streets in 1881 to the current system of numbers beginning at the Whitewater River, and letters north and south from Main Street. General Bennett was an active member of the Grand Army of the Republic veterans group and also served as the president of the Indiana State Pension Association.